As consumers, we flock to service providers that clearly communicate the value that they offer us - from online travel websites to app stores. However, when it comes to providing technology based services to internal customers, why are businesses unable to articulate the value of the services they provide? 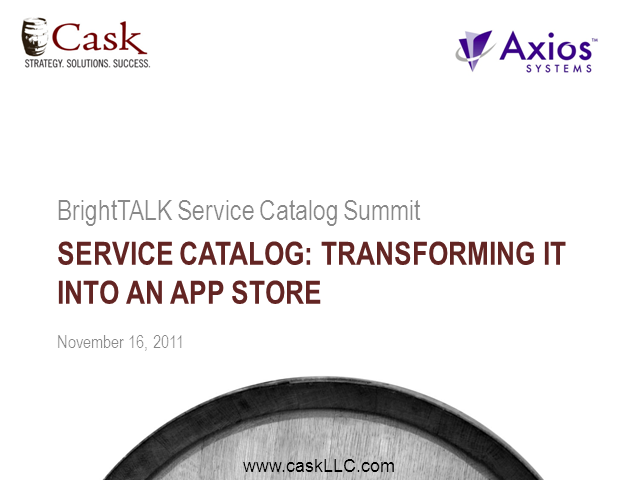 Join this webinar for a virtual workshop exploring how an App Store's "Service Catalog" (Music, Books, etc.) directly relates to mapping Business Services (Finance, HR, etc.) to delivering value. We will also discuss how the intuitive nature of the App Store can help drive the successful adoption of a Service Catalog.